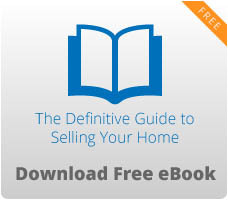 First and foremost, you want to attract buyers. Setting the listing price at an competitive rate is the easiest way to get buyers looking. Since fast is the operative word in selling your home, it is best to seek the aide of a real estate agent who can perform a comparable home analysis or a CMA. 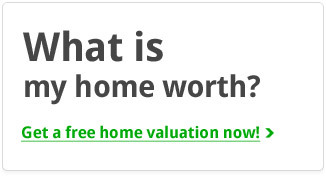 By comparing your home with the homes in your neighboring area and considering the particular landscape of your property, a fair market value can be assessed to your house. With the help of a real estate agent, a home seller can quickly get a realtor’s viewpoint about attracting potential buyers. They will know what price to set the home at and what range will get the most profit while attracting buyers. To learn more, talk to an agent today. The right price for a home, especially in the beginning, helps to set the tone for a quicker response from your multiple listing service (“MLS”). When you consult with your real estate agent, don’t take it offensively if they suggest an asking price that you feel is too low. Trust the agent’s expertise because a lower price is not a sign of worthlessness. Rather, it stands for negotiating room to help receive a quick sale at a reasonable asking price. After all, if you price your home out of reach, especially in today’s economic climate, then buyers will not even consider your property. Real estate is a competitive market and a home will sell fast when the price looks attractive. Besides, there are opportunities in selling your home competitively, which could trigger a bidding war where you or your agent can exceed your asking price (or at least to meet your original price). Now that you have gained the buyer’s attention, you need to make the right first impression. Curb appeal and home staging are 2 aspects that help convince buyers to make offers on a property. Generally, curb appeal refers to keeping your yard trimmed and appealing. Cut the grass, trim the bushes, remove any fallen leaves, and re-paint the exterior if need be. In most cases, a fresh coat of pain (whether inside or out) will help increase your sales potential by 10%. Buyers love “new” looking homes, which can come from fresh paint. For the interior of your home, fix and repair anything that needs work done. No home buyer wants to do repairs as they’re buying a home. It’ll immediately put them off. In addition, you can make your home more appealing by replacing furnishings and fixtures with newer, cost-effective ones. New handles on the kitchen sink or cabinet doors could increase profits (which don’t cost much to replace). Simple renovations that may cost $50-100 could drive up your listing price by $500-1000. Removing personal belongings from the bathroom sink and reducing the amount of family pictures hanging on the walls can also help buyers picture themselves living in your home.